Rob Allstetter has written for comics that adapted television shows like Avengers: United They Stand and Smallville. Today, he’s probably best known for running Comics Continuum, a comics news webite. 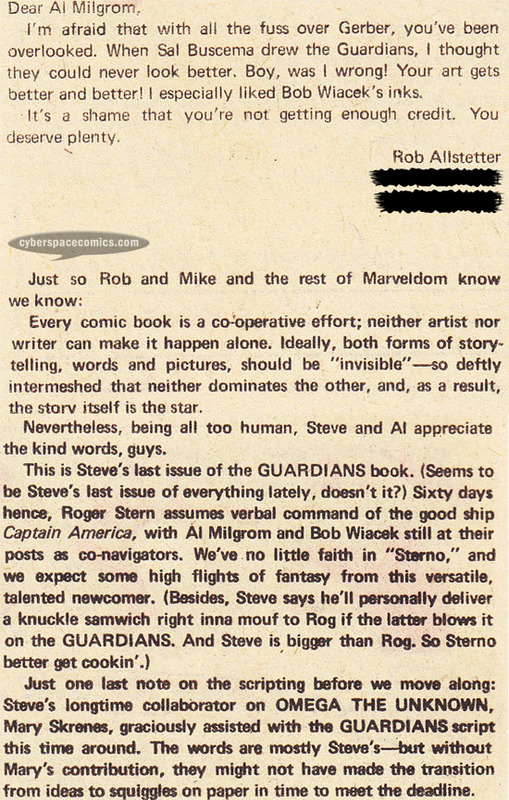 He got a letter printed in Marvel Presents #9 (cover date: February 1977), praising Al Milgrom for his art in the Guardians of the Galaxy feature..